Sandy Hostel v Řím, Itálie: Zarezervujte nyní! Sandy is a calm, clean, budget-friendly place to crash in the heart of Rome. It is located on the fourth floor of a 19th-century townhouse on Via Cavour, one of Rome’s main roads. Despite being a small property, with no common room and no kitchen, our guests appreciate the cozy, homey atmosphere. Sandy Hostel is easily accessible from Termini central train station, just a few minutes' walk from the structure. Termini hosts bus and train transport to and from Rome's airports. A variety of shops, supermarkets, banks, laundromats, a pharmacy and diverse dining options nearby. Public parking garage, metro, buses, trams, taxi stands, and tour buses at your fingertips. - Monuments, museums, and most major attractions within walking distance. International staff happy to assist with reasonable requests. Off-site café for karaoke times. - Individual lockers in dormitory--no pad lock needed! Please read the Things to Note section carefully. - City tax is not included in the invoiced amount. 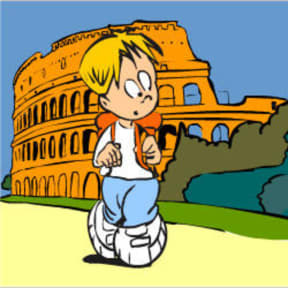 - Starting September 1, 2014, Roma Capitale levies a city tax of 3.00 Euro per person per day, payable in cash. - Check-in times: 14:00 to 22:00. - Should you be delayed, please contact us and we will gladly accommodate your schedule, if possible. 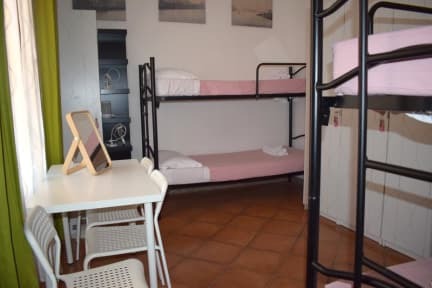 - Sandy Hostel is recommended for guests under the age of 45. - Dormitory is designated female only. - Sandy Hostel only accepts guests arriving and checking in before 22:00. Your arrival must be no later than three (3) hours after the time indicated on the reservation. Indicated arrival times are based on 24-hour European time. - Upon arrival at the property, the full remaining balance is payable in cash, due during check-in. - There is no refund on the deposit and booking fee paid to Hostelworld.com for any reason. - If a reservation is not cancelled at least 72 hours in advance, the guest will be charged the amount of the first night’s accommodation. - If you wish to change your reservation, please modify directly through hostelworld.com.